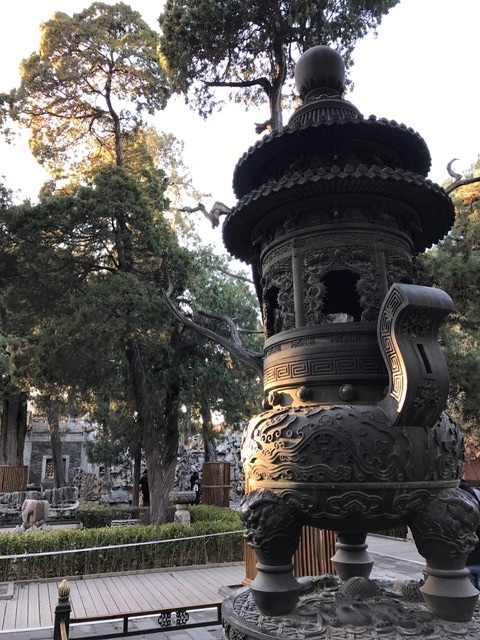 Our team arrived in the Forbidden City located in the center of historic Beijing, which is an immense palace complex dating from the Ming to the end of the Qing dynasties and is now known as the Palace Museum. It covers 183 acres and is comprised of 9,999 buildings. 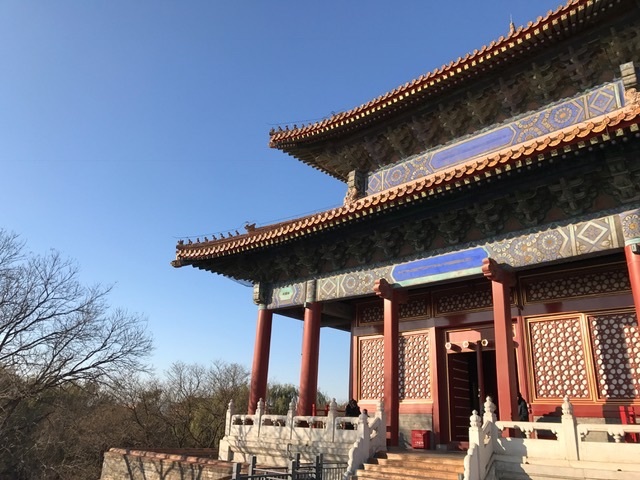 The architecture of the walled complex adheres rigidly to the traditional Chinese practice of feng-shui. 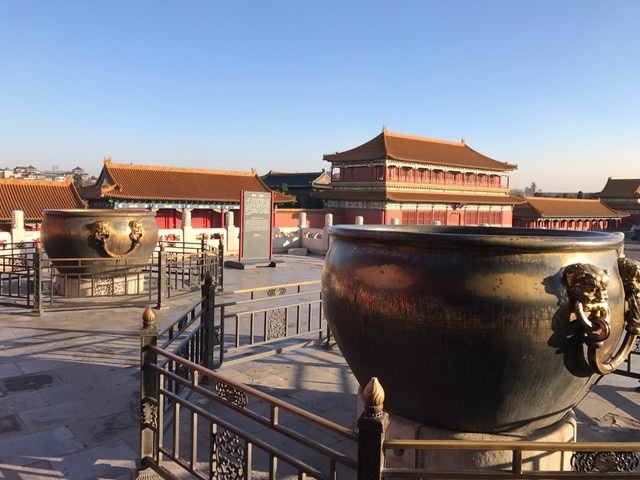 The orientation of the Forbidden City, and for that matter most of Beijing, follows a north-south line. 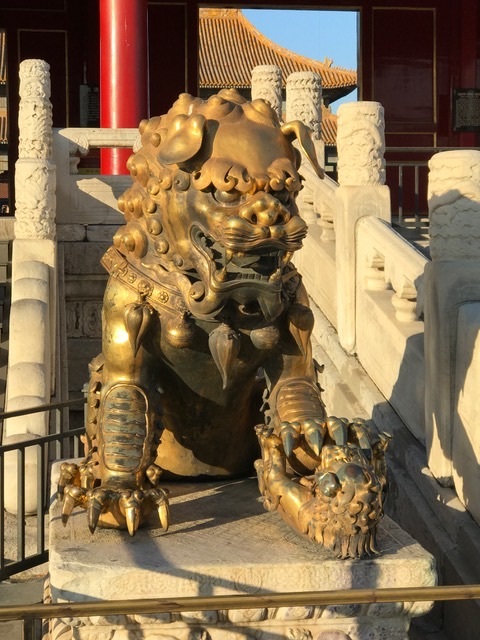 Several artifacts include a gilded bronze lion at the Gate of Heavenly Purity at the entrance from the Outer Court. 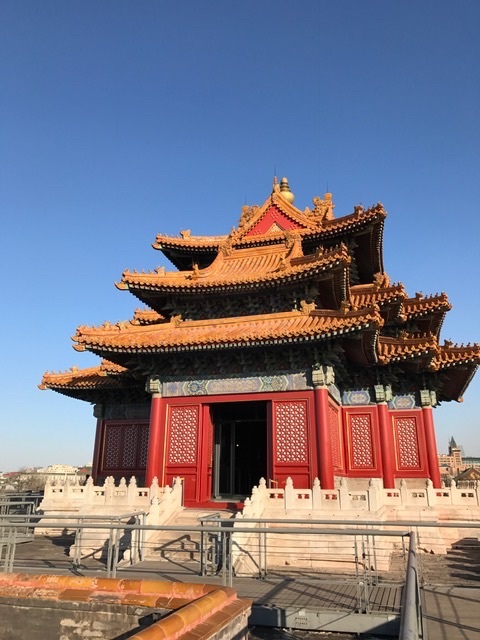 Artisans and builders were gathered from all over China to build this palace, while modern architects still marvel at the skill of these builders who created ornate wooden structures that have stood for almost six centuries. These are remarkable photos. The reporters are earning their keep! The team at Heath are doing a great job photographing and will be heading to Charleston this weekend!!!!! Look at the architecture. I’m speechless, really. Nice pics from the reporters. And as always, excellent post. The photographers have their next two trips planned!!! And. thank you for reading Stylish Heath!!! The photos are wonderful. I enjoyed the virtual visit to Beijing. Thank you for your kinds words and am pleased you enjoyed the tour!!!!!! My pleasure and please share your photos when you get to Beijing next year!! Wow…9,999 buildings! That must have been an exciting tour. Thank you we all had a great time!!! Thank you so much for visiting Stylish Heath!! !